Lake Worth Beach is hot spot for tourists and locals any time of the year. And soon, it will cost you more to park there. It's not by much -- just an extra dollar starting next week. 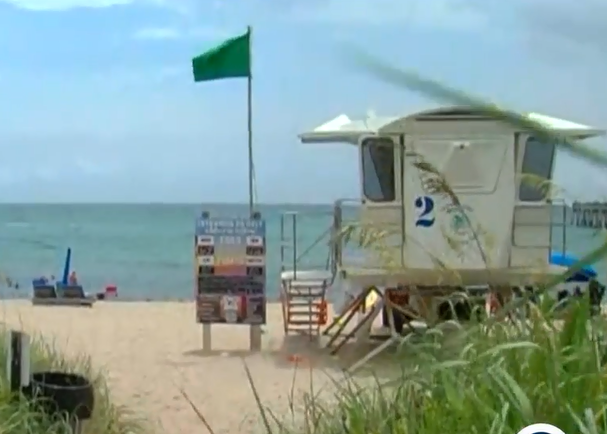 At the moment, Lake Worth is charging $2 per hour to park here at the municipal beach. Starting Wednesday, August 1, you'll have to pay $3 an hour. Cities who manage their beach fronts need the funding for upkeep. "To me that's still a bargain. To be able to pay for the use of the beach, it's well worth the expense," said Lake Worth resident Judy Boltax. 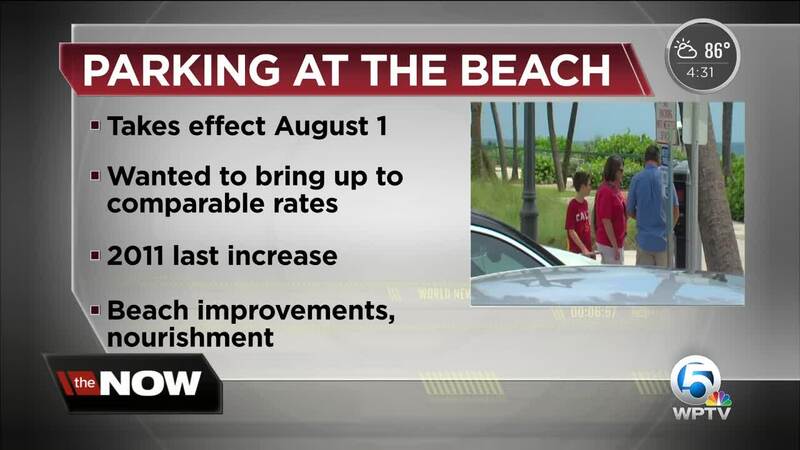 City spokesperson and Public Information Officer Ben Kerr said the city commissioners voted to increase the rates after doing research and comparisons to rates at other beaches. The commission decided on the rate to bring the city up to the same average as some other cities across the county. "It wasn't an arbitrary decision," said Kerr. The last time the city raised parking rates was seven years ago in 2011 to help pay for lifeguards. Kerr said this increase will continue to help the city fund beach improvements and nourishment. "The money goes towards things like keeping the sand raked every day," said Kerr. "What a lot of people don't realize is that we're not a very large city. We're only about 7 square miles. And we're also not an extremely wealthy city so things like the parking rates help cover things that wouldn't be possible." Delray Beach is $1.50 per hour. Boca Raton has very few hourly spots (about 15 near the pavilion) at $2 bucks an hour during the week and $3 on weekends. Otherwise you have to pay various rates for a daily or annual permit. Boynton Beach's park $10 per vehicle. Palm Beach is $5 per hour for metered. We asked beach goers if these prices affect where they go. "That's why I've been to lake worth beach more and now it's gonna go up a dollar? So that might make a difference with me going down there or not. It's only 2 dollars more for me here and it's quicker," said Jeff Komen, who was visiting Palm Beach Island on Tuesday. "I think 2 or 3 dollars is adequate." "I've been to some of the other beaches and if you go down to delray, it's a little pricier you have to valet or might not be able to find parking," said Deborah Keller, visiting Lake Worth Beach. "Locals might go where there's freer parking. And I think there's a lot more tourists here in Lake Worth." "Oh one more dollar? We're on vacation. For the beach, yes, I'll pay it!" said Canadian visitor Bianca Facher.